We are proud to present the videos from the 25. ESC 2016 which you can rent for 3 months at a nominal charge, only. 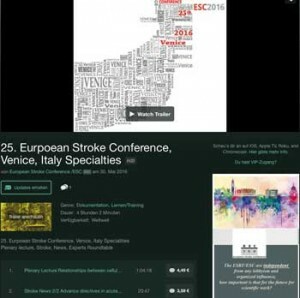 Symposia, Teaching courses and Specialties from the 25. European Stroke Conference 2016 in Venice, Italy. All speakers gave permission for educational publication – we are very grateful for their support. 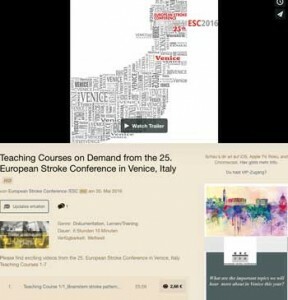 Please find the “Teaching Courses on Demand” on our new ESC video account.